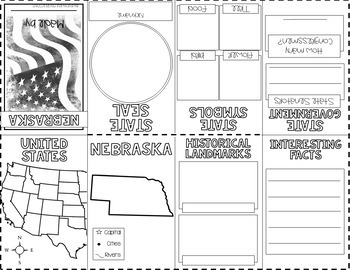 Your students will have fun, during social studies, researching the United States and creating mini foldable books. Each booklet is made from only one piece of paper. 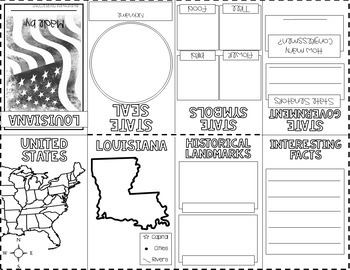 Print, fill in the information, color, cut and fold. It is that easy. These could be used as a culminating project, as an assessment grade, or for educational fun. 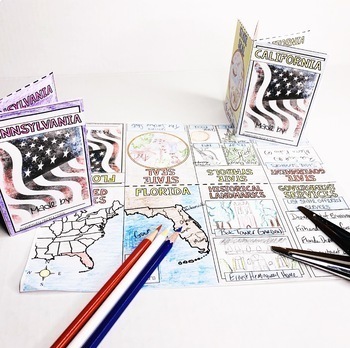 Each booklet includes: the state seal, state nickname, state symbols, state government, location in United States, state map, historical landmarks, and extra fun facts. 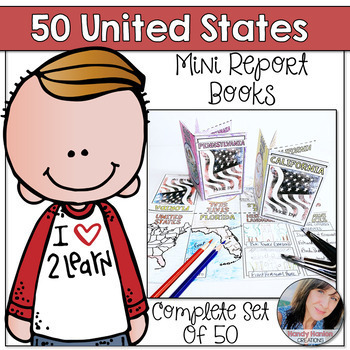 I hope you enjoy reviewing the 50 States and Capitals! Please click follow at the top of my store page so you are notified when I post new products and have sales! Don’t forget to leave feedback to earn points toward your next TPT purchase. ★ Go to your My Purchases page (you may need to login). Beside each purchase you’ll see a Provide Feedback button. Simply click it and you will be taken to a page where you can give a quick rating and leave a short comment for the product. I value you feedback greatly as it helps me determine which products are most valuable for your classroom so I can create more for you. Thanks for checking out my resources!